At the request of Governor Ed Rendell (D), the Pennsylvania House Judiciary Committee has tentatively scheduled a meeting for Tuesday, November 20 at 10:00am, to vote on several anti-gun measures. The package of bills include one-gun-a-month, a requirement for individuals to report lost or stolen firearms, and legislation that would overturn Pennsylvania’s current preemption law. HB 29, which requires the reporting of a lost or stolen firearm to police under severe legal penalties. This bill has the potential to trap unaware gun owners who are victimized by crimes. It’s critical to write your state representatives and members of the Judiciary committee and tell them to vote no on these bills. 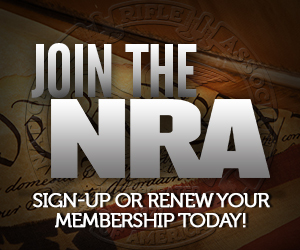 Follow the link to the NRA alert to get contact info for the state representatives. You guys have a whip count on these things? Whats the unpinning political dynamic? Are they still at the budget impass that the Philadephia crowd caused? Is this simply to capitulate Philly and allow other measures to go through? Any chance of these passing, especially occurring in the heart of hunting season? Could have seen this coming years ago. When Rendell first ran for Governor, I publicly scolded Kayne Robinson at one of Grover Nordquists Wednesday morning revivals of the faithful over the NRA’s failure to engage in the Pennsylvania gubernatorial election. Kayne was singing the praises of all the NRA was doing that election year at the state level, but was clueless to the fact that Rendell was a long standing bigot gun banning former mayor of Philly. This bill has the potential to trap unaware gun owners who are victimized by crimes. As opposed to every other gun control bill? If I remember correctly, there are 16 Democrats and less than 30 seats on this committee, and a lot of political pressure from Philidelphia and out-of-state to get the preemption law taken down at least. I’d say it’s significantly risky. I’ll phone and write in. Countertop, are you sure he was ignorant of that fact? And if he was, how does he explain away that ignorance? NRA opposed Rendell. Countertop’s criticism is that they didn’t oppose Rendell strongly enough. I suspect it was simply not in the talking points a staffer had prepared for him that day. Theres a lot to know about, and he didn’t know about this. Robinson wasn’t a paid staffer or lobbyist for them, just a member who had risen somewhat in the organization (was he “president-elect” then????). I’m neither surprised or concerned that he didn’t know this, but did think it was worth pointing out to him as it frustrated me to know end at the time. Interestingly, if you didn’t know it, Rendell was the District Attorney of Philadephia when the city bombed MOVE. According to Wikipedia at least, he played a major role in that decision (and as i write this, I realize that most of the folks reading this blog probably weren’t even born when the city of Philadephia decided to bomb (YES – BOMB!!!) a neighborhood and nearly burn the entire area down as a response to crime). I was alive at the time, and I remember the impact that had on the city. I can tell you, I thought that Mike Fischer and Lynn Swann were both lackluster candidates that didn’t stand a chance, but I voted for them anyway, because there’s no way in hell I could ever vote for Ed Rendell. Wilson Goode, who was the mayor at the time, I think was the worst mayor Philadelphia ever had. Even John Street is only a second. Ed Rendell wasn’t a good Mayor of Philadelphia, he was a lucky Mayor of Philadelphia. He rode the same upswing every other city rode, and unlike Guiliani, who rode it with great effect, only made Philadelphia a better during the ride up, rather than fixing its fundamental problems, and now we’re paying the piper. Rendell convinced enough people in the Philadelphia Suburbs he was a competent mayor, and would do great things for Pennsylvania if they elected him. So they did. What worries me is, not enough people have realized that was all an illusion. Ed Rendell has a reputation in the Philly suburbs as the man who “fixed” Philadelphia. Of course, John Street has the reputation of the man who screwed-up Philadelphia. While Ed Rendell wasn’t bad, and John Street isn’t good, those reputations are fundamentally incorrect. Philadelphia, during its upswing from the mid 90’s to about 2001, was out-paced in job growth by Detroit, and you’re not going to hear anyone extolling the virtues of Detroit’s business-friendly climate. That’s how bad of a place Philadelphia is to business. This attack on preemption seems to be a national thing by the anti-gun-owners. We in MD faced it this year, as did NJ. We expect to see it again next spring. I called Conklin’s office, and got a “thank you.” He’s a Democrat, but he ran on a pro-gun platform, and he knows if he votes with the grabbers, he won’t get re-elected. We’ll have to see. Any of these bills would have to go to the state senate, right? I know how Jake Corman would vote on any of them. Yes. And the senate is more pro-gun than the house, and still in Republican hands. That’s not to deride any of the fine pro-gun Democrats we have here in Pennsylvania. I remember the bombing, Rizzo, Rendell, Goode and company. (contrary to what I suspect you will imagine to be some giant conspiracy by the NRA to take away your guns and hold down the man or some other nonsense which you will see as a reason to support the dishonest and worthless GOA) -countertop. ::::That shows just how ignorant you are of what I have been saying. You may disagree with me all you want about the NRA, that is why we have discussions. But even if you mind I will determine what I think. Don’t you do it. I assure you if you want to make it personal I am much meaner than you. You really don’t want me to be. You state your opinion, I will state mine. We can each give our reasons for our opinions. Don’t presume to think for me. I haven’t done it for you.